​Atletico Madrid have confirmed Nelson Vivas has joined the club to be a part of Diego Simeone's backroom staff for next season. 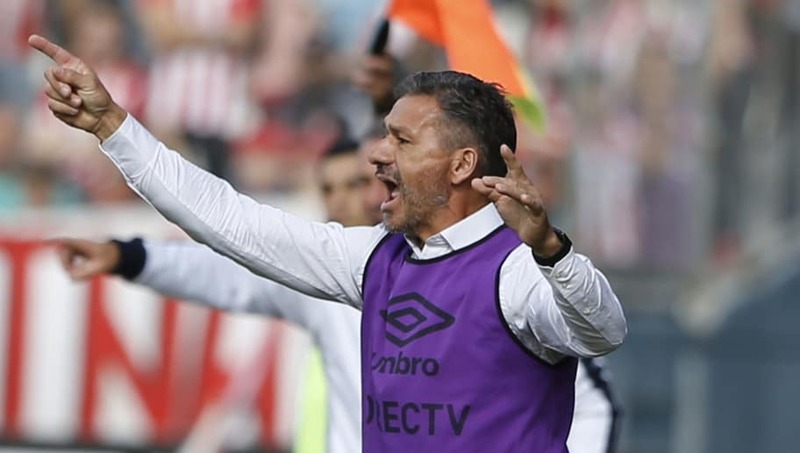 ​Football España reports that the 48-year-old has been brought in to take up coaching duties with los Cholconeros, a year after winning the Argentina Manager of the Year award for his time in charge of Estudiantes. ​The former defender attracts controversy; in 2013 he left his role at Quilmes after attacking a fan in the stands and in 2017 he rather weirdly - kind of scarily too, but mostly weirdly - ripped off his own shirt after a penalty decision went against his Estudiantes side. It remains to be seen just what kind of madness unfolds as Vivas takes up his place alongside the equally as fiery Simeone, whose recent remonstrations against ​Arsenal in the Europa League resulted in him having to watch the final from the stands. The duo will be hoping to inspire Atleti to the title next season, after finishing 14 points behind ​Barcelona in 2017/18.